Sweet news for the citrus industry this season in Indian River County, where growers finally saw gains in production, after years of hurricanes and invasive diseases that hurt crops. GIFFORD, Fla. — Sweet news for the citrus industry this season in Indian River County, where growers finally saw gains in production, after years of hurricanes and invasive diseases that hurt crops. "I think we’ve seen low tide with this industry by far and I think next year is going to be better and bigger and the years following that will be better than that," said Doug Bournique, of Indian River Citrus League. In fall 2017, Hurricane Irma destroyed groves with strong winds knocking fruit off trees and and heavy rains saturating root systems, reducing last season's crop. "It took a year and a half for these trees to recover, but we’re really seeing a strong recovery of these trees," said Dan Richey, of Riverfront Packing Company in Gifford. The U.S. Department of Agriculture predicts growers will harvest about 35 million more boxes of citrus this year compared to last year. "Our growers right now are seeing a comeback crop," Bournique said. Bournique also said scientists appear to be close to figuring out how to stop the spread of citrus greening, another issue that has plagued citrus production. "Our office is in the USDA lab and I can assure you they’re getting very close to cracking that nut and some of the key features of how to stop greening from spreading and how to help these trees to get back to producing more roots because this is what it does, it attacks the root system," he said. 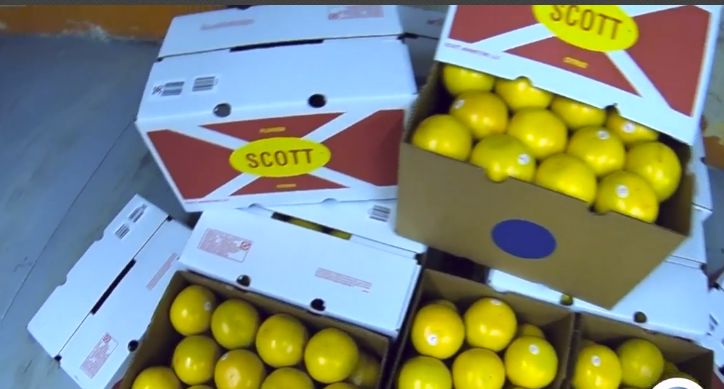 80 percent of the citrus crop that's produced in the Indian River area is exported to Europe and Asia, according to Bournique. Richey said it's important to be able to continue to fill the demand for grapefruit internationally, otherwise citrus growers from other countries will take over. "Perception, the market hears we have a hurricane and they figure, OK, we have to find an alternative source of product," Richey said. "We have to constantly fight that and make sure they know we have an ample supply of high quality grapefruit available for their markets."